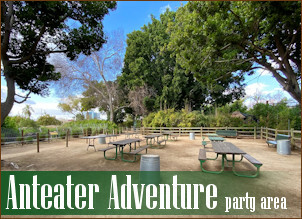 The Santa Ana Zoo at Prentice park offers four unique and exciting locations from which to host your next gathering. No matter what size event you are planning, we have the perfect venue to provide a memorable experience for you and your guests. The Amazon's Edge Party Area is reminiscent of a rain forest floor. 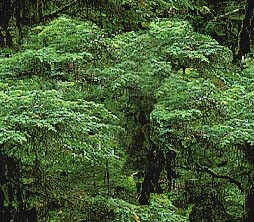 The area is surrounded by trees and tropical shrubbery. Listen close and you may hear the whooping call of one of our Black Howler monkeys or the trickle of our beautiful waterfall. 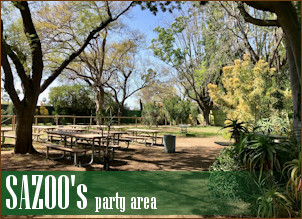 SAZOO's Party Area is more fun than a barrel of monkeys! It has a fantastic view of the Jack Lynch Aviary, home of the playful Ring-Tailed Lemurs. Beautiful shade trees complement the area and provide a nice place to picnic. 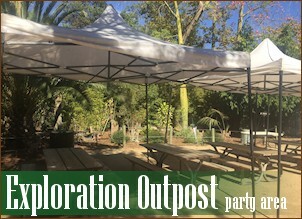 Exploration Outpost Party Area is the "hands-on" place to be. Your guests will enjoy a picnic near the Exploration Outpost, filled with fun and educational hands-on experiences, the interactive Rainforest Maze, and the Talking Frog! The Amphitheatre Park Area is perfect for corporate or gala events. It boasts a thatched tiki buffet bar, stage and seating area, and volleyball net. 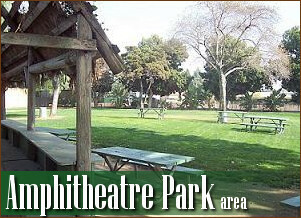 For large parties, the Amphitheatre is perfect for your next company picnic or large capacity event. please call Paris Devantier at (714) 953-8555, extension 12. Or download our rental form here. If you are having trouble viewing PDF files, click HERE for the latest Adobe Reader.